Don’t Give Up if Your Mississippi Workers’ Compensation Claim Was Denied | Merkel & Cocke, P.A. 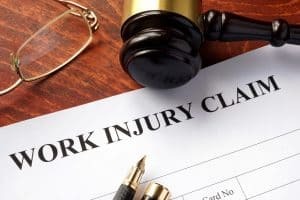 If you were injured in a workplace environment or acquired a job-related illness in Mississippi, you are most likely entitled to receive workers’ compensation benefits. In Mississippi, workers’ compensation operates in a no-fault system. Eligible injured workers are provided both wage replacement and medical treatment. Theoretically, obtaining approval of a workers’ comp claim should be simple and straightforward. However, far too often obstacles arise that cause either delay or denial of a claim. If you received a Notice of Controversion after applying for benefits, informing you that your claim was denied, do not accept that denial has the final word on the matter. An initial denial does not mean all hope is lost. In fact, you have simply encountered an obstacle that many applicants encounter as they go through the process of eventually obtaining approval. Every workers’ comp claim consists of a unique set of circumstances and facts that must be addressed independently during the claim process. If your claim has been denied, it’s important for you to acquire the services of a seasoned Mississippi workers’ compensation lawyer as soon as possible. Your attorney can guide you through the process successfully to obtain the benefits you are owed. Do you qualify as an eligible worker for benefits? Is your particular illness or injury covered? Any injury or illness in Mississippi that stems from the course and scope of one’s employment should qualify for coverage under the state’s workers’ compensation system. Was your claim denied in bad faith? Any denial of a Mississippi workers’ comp claim that is not based on the law may provide the victim reason to sue the employer for the claim denial. Such a suit may involve both compensatory and punitive damages. With an experienced Mississippi workers’ compensation attorney on your side, you can determine if the denial was made in bad faith. If you and your illness are covered under state law, you may have cause to move forward with a bad faith lawsuit. If you believe your workers’ compensation claim in Mississippi to be valid after reviewing these questions and possibly others, you have the option to appeal the claim denial by submitting a “Petition to Controvert” (Form B-5,11) with the state’s Workers’ Compensation Commission. Obtaining approval after a workers’ comp claim denial in Mississippi is possible. However, the process can be quite challenging as each step of the appeals process moves forward. This is why it is vital to have an experienced Mississippi workers’ compensation attorney working on your behalf immediately after you receive notice of your denial. If you were wrongly denied workers’ compensation benefits in Mississippi, the attorneys at Merkel & Cocke can help you obtain approval and the compensation you deserve. We serve the entire Gulf Coast region from our law offices in Clarksdale and Jackson. To arrange a free consultation about your case, call us today at 662.799.1633 or use our contact form.